This month, I moved to Seattle to begin working full time. I got the shipment with all my outdoor gear just this week so I was really excited to get out for my first hike. Forest fires shut down Highway 2, and I-90 was closed to just one lane. Forget it; let’s just go to Rainier instead. 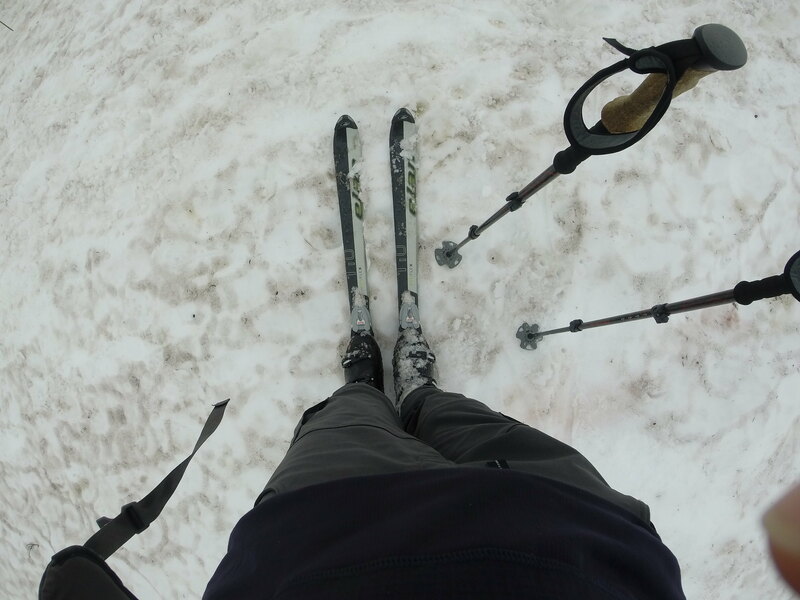 And while we’re at it… why not break out the skis? 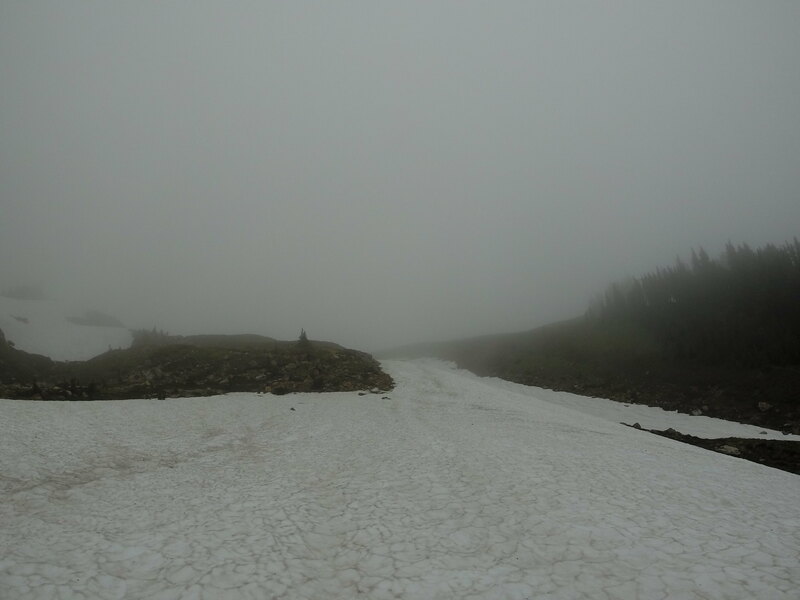 Unfortunately the visibility was especially poor, and nobody else in my group felt like hiking up the Muir snowfield into a cloud just so I could ski. I found a nice little run of summer snow right below panorama point that I lapped a couple of times. Even though the summit was completely blocked, we had some views of the Tattoosh range once we got below the cloud ceiling, and the wildflowers lower down made the hike worth our while.